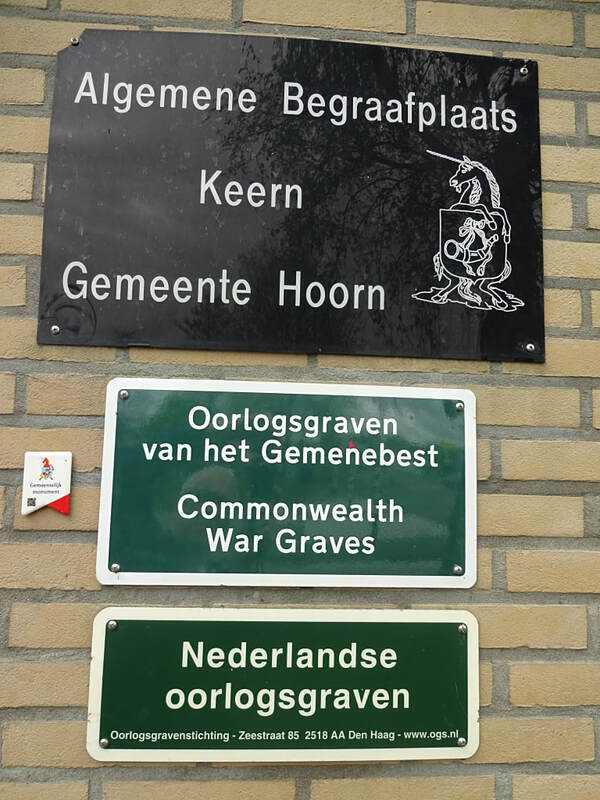 Hoorn is a village and commune 39 kilometres north-north-east of Amsterdam, and 30 kilometres east of Alkmaar, on the west bank of the Ijsselmeer. 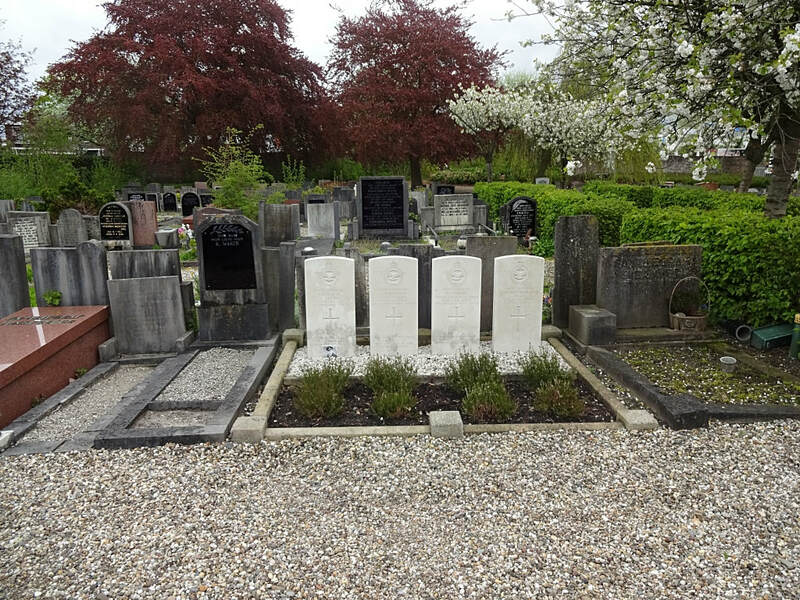 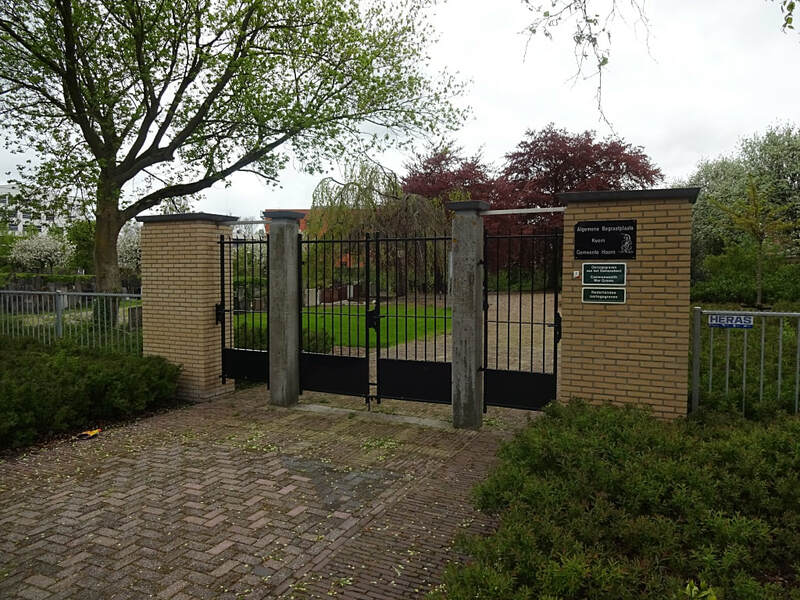 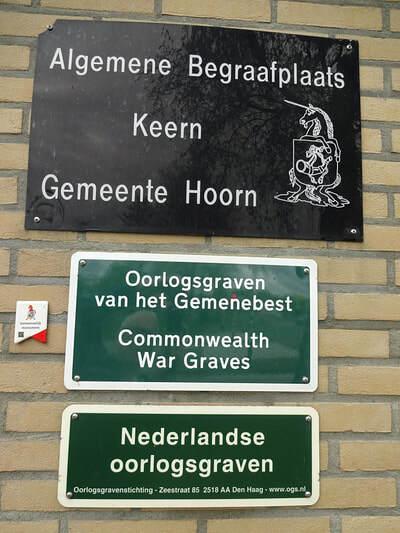 The cemetery is at the corner of Dampten and Keern about 700 metres north-west of the village, on the west side of the road to Leeuwarden. 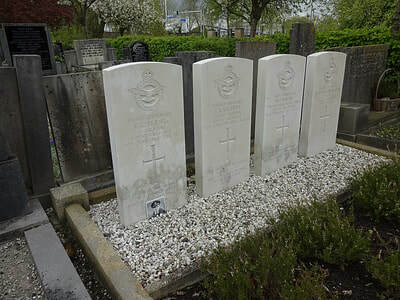 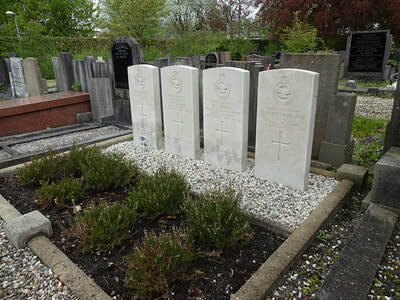 In the north-western part are the graves of airmen from the United Kingdom. 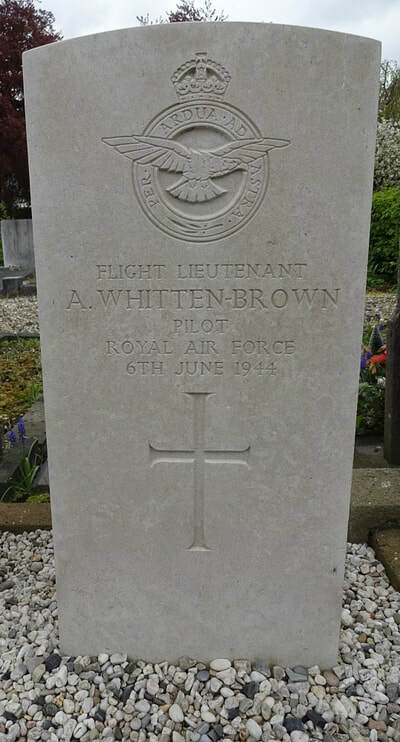 6th June 1944, aged 28. 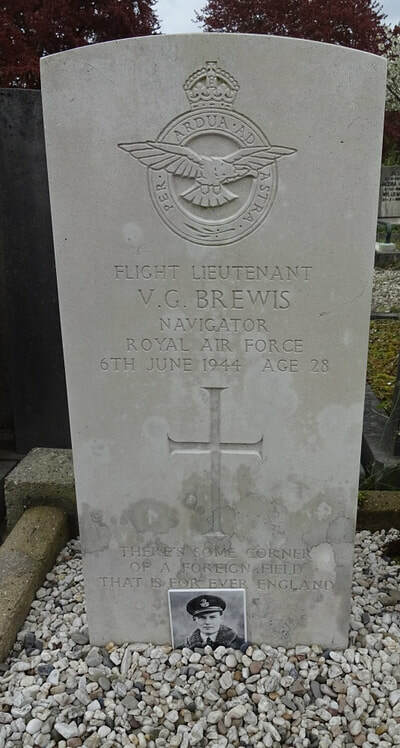 Son of Victor George and Marion Brewis, of Wooley, Northumberland. 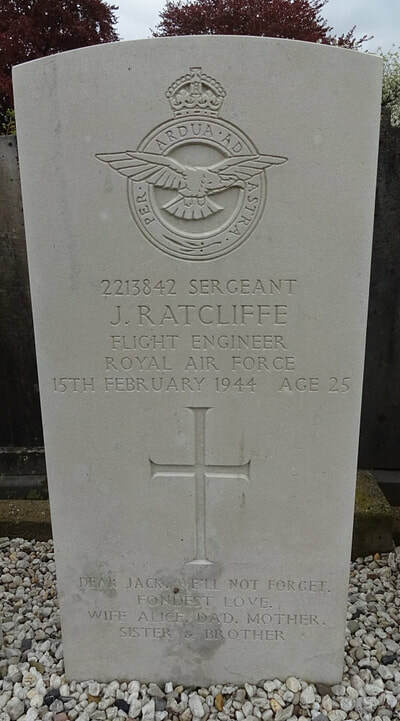 2213842 Sergeant Jack Ratcliffe, Flight Engineer in 115 Squadron, Royal Air Force Volunteer Reserve, died 15th February 1944, aged 25. 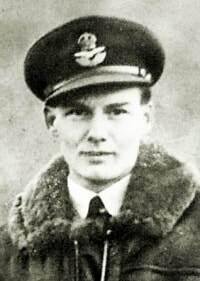 Son of Ernest and Esther Ratcliffe, of Middleton Junction, Lancashire; husband of Alice Ratcliffe. 61490 Flight Lieutenant Arthur Whitten-Brown, Pilot in 605 Squadron, Royal Air Force, died 6th June 1944. 1318927 Sergeant David John Young, Wireless Operator/Air Gunner in 115 Squadron, Royal Air Force Volunteer Reserve, died 15th February 1944, aged 21. 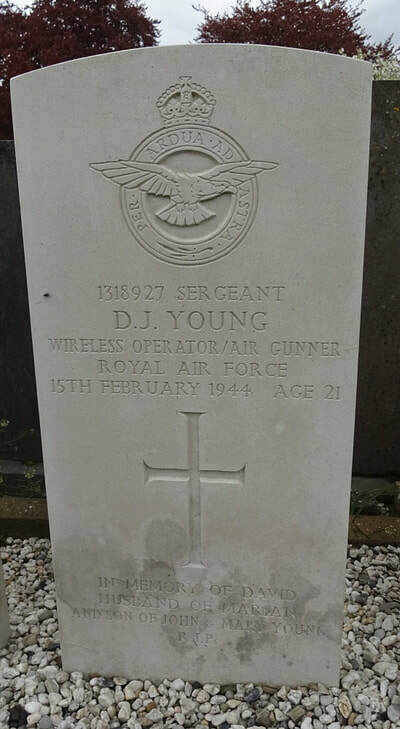 Son of John and Elizabeth (Mary) Young, of Herriard, Hampshire; husband of Marian Young.